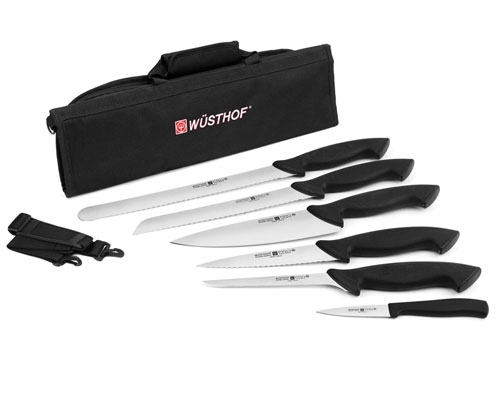 The Wusthof Pro 7 Pc. 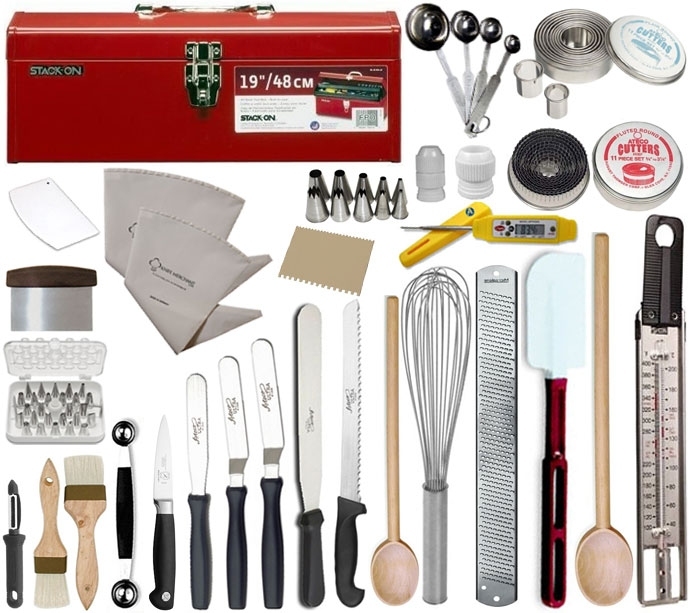 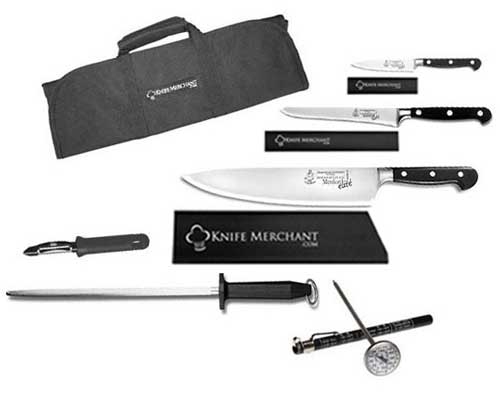 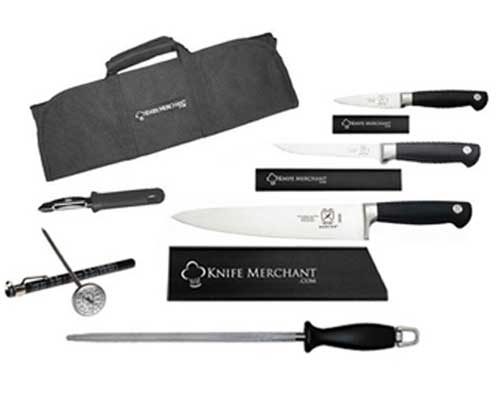 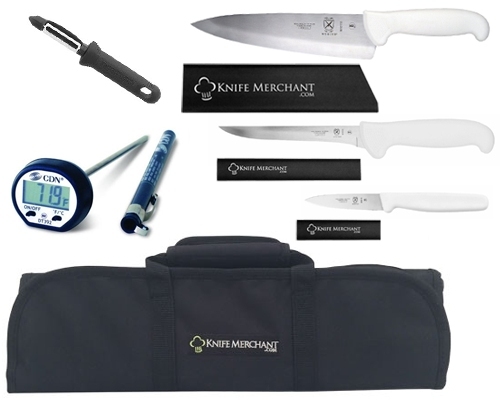 Culinary Student Set was designed specifically for a culinary student, but would work well for anyone looking to buy a complete, easily transportable set. 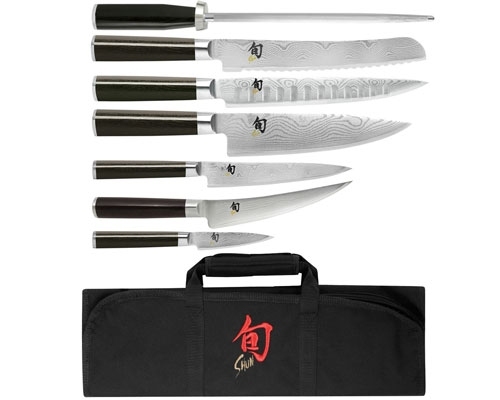 This knife set is perfect for anyone who needs to have a set ready to go, instead of keeping knives stationary in a knife block. 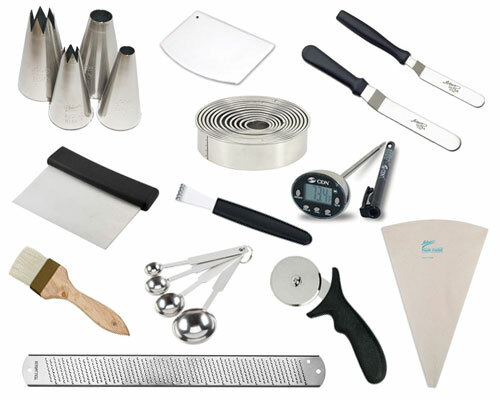 These are all high quality products designed to last through years of professional use. 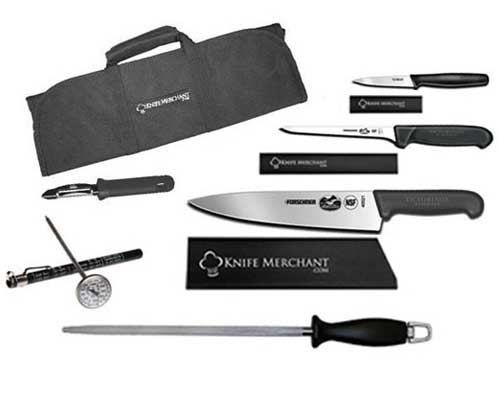 Cook's illustrated top choice peeler, knife merchant padded, zippered flap knife bag. 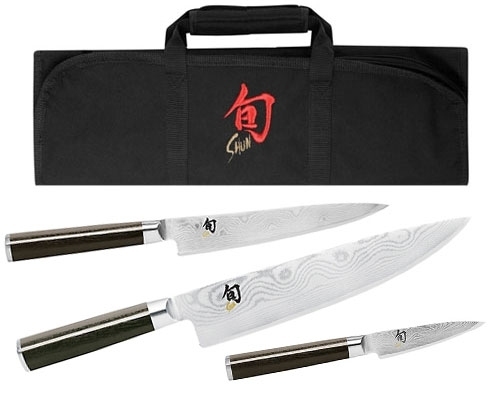 Don't let the low price fool you, this is top-quality product.